Love this vid! That looks like super tricky float and ride conditions with a few good sections in there - this dude is ripping! a certainty but also a certainty my wife will be annoyed?! Dave, super nice sailing in those light conditions. Those waves are so offshore out there. Hey Tom thanks for the compliments! dinged my ankle so off the water for the last 4-5 weeks, hope to be back soon. 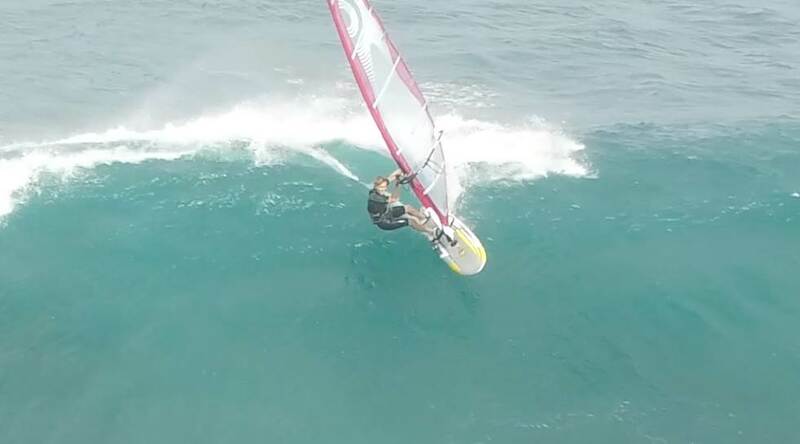 Went to Gnaraloo last Oct and had a wild time with Guy Cribb's crew. Learned so much and improved technique I hope! The idea for both these videos came from Jun Nagamori's wife, Sara, who wanted to give him a 50th birthday present. When Dave saw it he wanted one too! So if anyone wants one, get you wife/ significant other to call me to arrange, but hurry my ankle will be better soon and I won't be droning, I'll be out there! See you on the water mate!